I am happy to announce that we have now released version 7.1.0 of CrossOver Games, for both the Mac and for Linux. This new version is largely an incremental improvement; it fixes a range of bugs in a number of games. It also includes a full merge with the Wine 1.0 code base, so this is now a 'post Wine 1.0' version of CrossOver Games. A full change log is included, below. If you are an existing CrossOver customer with an active support entitlement, you can visit our web site to download this latest version: Also I want to remind folks that with CrossOver Games, we're really trying do much more rapid releases. So, although we've tested this carefully and feel pretty good about it, if you have a working configuration, you might just want to skip this one. Or at the very least, archive your bottles before you upgrade. The death screen in Team Fortress 2 on radeon cards should be fixed now. Fixed a texturing bug on the earth on the Civ4 main screen. This is a news update from Codeweavers site about a defect in CX Games for Mac. The retail CD version of CrossOver Games sold at BestBuy contains a defective file. CXGames will install fine. 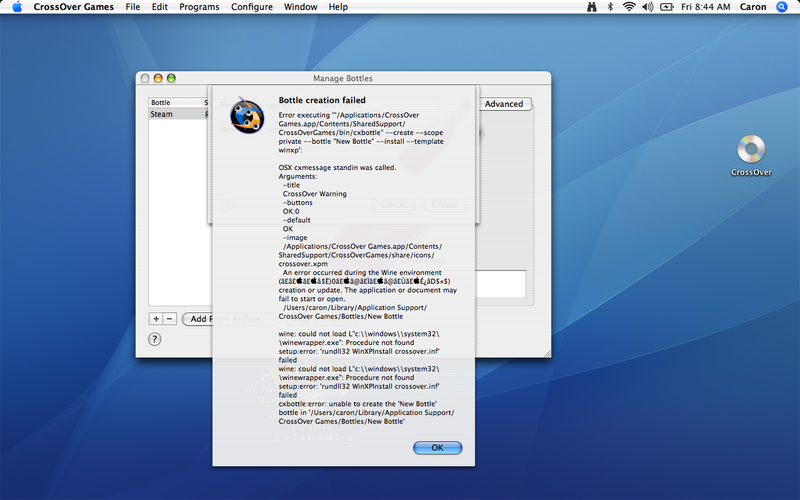 However, when the user attempts to install Windows software under CrossOver, or create a bottle (a self-contained virtual Windows environment), the program will return an error message of "Bottle creation failed..." followed by a long, arcane error condition dump (see this screen capture below). 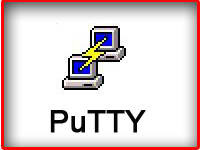 This precludes the program's operation, since Windows software cannot be installed. ```Please note``` that this problem only exists on the CD contained in the retail version of CrossOver Games. The CD in the retail version of CrossOver Mac is not defective. Register your CrossOver Games purchase by following the instructions on your registration card. 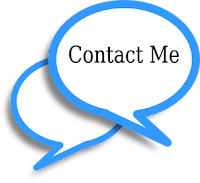 This will create an account on our system, and validate you as a customer. Once you have unlocked the trial, your program will behave normally. Today we have the final installment in our Mac Gaming 101 mini-series - I hope you’ve found it useful! Today I’m looking at CodeWeavers’ CrossOver Games (based on the Wine project) which was brought out at the end of March, and which seems like a damn good solution for those of you looking to play Windows games on your Mac. 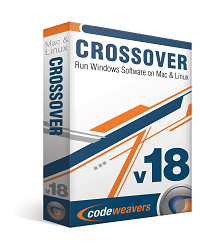 And don’t forget that while we’ve been focussing on the Mac side of things, all CrossOver products are also available for Linux. Check out the full range here at CodeWeavers. Since this was filmed, CodeWeavers brought out version 7.0 of CrossOver which incorporates a few changes to some of the details given in the episode. First up, CrossOver Games now comes with 6 months of support rather than 12. CodeWeavers tell me the 12 months was an introductory offer, and that they plan to upgrade CrossOver Games more frequently than other products, so even in the 6 month window you will still get a good few upgrades. They’ve also now streamed the Mac version of CrossOver Office into CrossOver Mac Standard and CrossOver Mac Pro (which is to do with what’s included in the CrossOver package, not to do with the kind of Mac you have!) CrossOver Games is included in the latter, so if you use a lot of other Windows software, check out that one too. I just noticed the folks over at CodeWeavers are having a get the word out campaign. If your a proud customer of theirs and would like to help them spread the word about the great products that they have, this would be a good time to do it. Ive personally used their products ever since CrossOver Plugin 1.0 first shipped and have always been satisfied with the product and support that I've received over the years. Here's a quote and a link to the original post at their site.